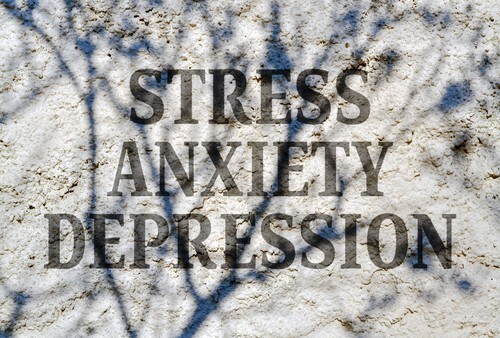 Washington DC Psychologist, Psychoanalyst, Dr. Lynn Friedman examines anxiety & depression. This article was previously published in her Johns Hopkins blog for psychotherapy graduate students. Many people who I see often begin psychotherapy reporting symptoms of anxiety and depression. Fortunately, most of these difficulties can be overcome through psychotherapy. These symptoms can emerge slowly, over time, or may appear suddenly. Anxiety and depression are nearly universal. Who hasn’t experienced, “stress” or the “blues”. And, these difficulties frequently occur, together. In fact, some psychologists & psychiatrists apply the term, “mixed anxiety-depressive disorder”, to those who suffer from both. I find myself less interested in these labels and more interested in understanding the meaning of the symptoms. I tend to see every individual as unique and I believe that, in general, anxiety and depression arise when we have internal struggles that are outside of our awareness. Beyond this, I recognize that feeling worried or down at times is part of the human condition. But, how does one know when everyday anxiety and depression turn into more serious difficulties? And, how does one know when a psychological evaluation might clarify the situation and, potentially, alter the trajectory of the person’s life situation? Anxiety is more prevalent than the common cold. Who hasn’t experienced a knot in the stomach, heart palpitations, sweaty palms, worrying, irritability, difficulty concentrating, muscle tension, a dry mouth, difficulty sleeping or restlessness? Who hasn’t felt “wired” or found that they were easily fatigued? These feelings and symptoms are ubiquitous. How does one assess when these symptoms are an anticipated and reasonable reaction to the endless gridlock, long commutes and the pervasive work-a-holism that is endemic to the greater Washington, D.C., area, or, when they indicate that something more insidious lurks beneath the surface? This is an important question because anxiety disorder, or anxiety difficulties, are very treatable. Individuals with “anxiety disorders” can be helped. Does your anxiety warrant a consultation with a psychologist or a psychotherapist? What is everyday anxiety? How do you know if your anxiety should prompt a psychological evaluation? Anxiety disorder is as prevalent as the common cold. However, most anxiety is not “anxiety disorder”. Rather, everyone experiences it. In small amounts it can be useful. It can serve as a warning signal that something isn’t quite right. Take a classic example, undoubtedly, familiar to anyone who has been a student. You’re in college; the term is nearing its end. Finals are on the horizon. You’re behind in your reading and you’re behind in your studying. Your heart starts to palpitate. You experience feelings of impending doom. You imagine what it would be like to fail your courses. You become worried. You are filled with fear. And, you are compelled to take action. You hit the books and you study. You pass your exams with flying colors. In this case, your anxiety served a productive, advisory, role. It was adaptive. It signaled to you that trouble was imminent and it prompted you to take effective action. It helped you to function and to meet the demands of your everyday life. In small small doses it can be motivating. Anxiety can help us to go to work when we’d rather play, to clean when we’d rather relax; and to carry out the responsibilities of our everyday lives. But, how do we know when we have crossed the fine line between everyday anxiety and generalized anxiety disorder? How does one know when anxiety represents a significant difficulty? This is an important question. Many people worry that they may be depressed. But, anxiety is actually a far more prevalent psychological concern, especially here in Washington, D.C. Unchecked, it can lead to significant health and mental health difficulties. Therefore, it is important to know when everyday anxiety crosses the threshold and becomes generalized anxiety disorder. We should become concerned when it begins to persistently interfere with our capacity to function effectively in our everyday lives. For example, let’s take the head of a start-up who experiences profound apprehension in preparing for a meeting with her board. She attempts to get ready but has difficulty concentrating. She worries about sounding silly or incompetent. As she tries to organize her ideas, she finds that she can not focus. She feels panicky. She worries about the outcome of a potentially unsuccessful meeting. In fact, she finds that she is so worried that she is unable to formulate her ideas and do her best work. At night, she reports that her sleep is fitful. While this type of experience is fairly common, if it is recurrent, it can be a sign that a careful psychological evaluation is warranted. That is, it is getting in the way of the individual’s ability to function effectively in the workplace. It can be a form of self-sabotage. Similarly, we should become concerned when it interferes with our establishing and maintaining the kinds of personal relationships that we seek. For example, let’s take the woman who would like to date and marry but finds rather than enjoying dating — she worries throughout the entire dating experience. Will he call? Won’t he call? What does it mean that he doesn’t call? What does it mean that he asks her out at the “last minute”? Will it last? Won’t it last? She calls her friends, seeking reassurance. Instead of relaxing and having fun, she finds that she can’t enjoy herself. Anxiety that interferes with our ability to have gratifying professional or personal relationships warrants psychological evaluation. Earlier, I noted that anxiety and depression often co-occur. What are the signs and symptoms of clinical depression? People suffering from depression report a plethora of symptoms. These include: sleeping difficulties (such as: early morning awakening, insomnia and sleeping all of time), eating difficulties (including, a loss of interest in food, weight loss and/or weight gain), psychomotor retardation (they move VERY slowly) or psychomotor agitation (they move about non-stop), irritability, memory difficulties, trouble concentrating, indecisiveness, sadness, tearfulness, thoughts of suicide and/or death, feelings of hopelessness, feelings of guilt, feelings of helplessness, feelings of worthlessness, apathy, fatigue, a loss of sexual appetite and a loss of interest in life in general. If a person has a number of these symptoms, persisting over a period of several weeks (in the absence of other medical or psychological difficulties) then, they are likely to have clinical depression. Readers are sometimes surprised to learn that a person can have clinical depression without having the conscious experience of sadness or tearfulness. For example, in many cultures men are taught to suppress or deny the experience of sadness or their sense of hopelessness. Typically, these sorts of men are quite unaware that they are depressed. Instead, their depression is identified when they lament to their primary care doctor that they are fatigued or lack, “get up and go”. Years ago, I had occasion evaluate a few hundred men for depression. This particular group had grown up working in steel mills. They came from backgrounds that reinforced a lot of bravado. Keeping a stiff upper lip, many reported that they never cried and, initially, they were unaware of their sadness. Yet, they evidenced many of the signs and symptoms detailed above. It was only through psychotherapy that they became aware of their sadness. And, only once they became aware of their sadness were they able to grieve and move on. Once you have decided that your anxiety or depression warrants a psychological evaluation, how do you wend through the maze of options available in, here, in Washington, DC? The efficacy of an array of therapeutic approaches to the treatment of anxiety disorder and depression are well documented. The sort of treatment that you seek reflect your personal goals. Some approaches focus primarily on helping the individual to achieve symptom relief from anxiety. For example, medication can be useful in anxiety disorder treatment. It can help you to calm down and to be less reactive to the stressors in your life. Like medication, cognitive behavior therapy focuses on alleviating the symptoms of anxiety difficulties. Individuals are taught to manage their symptoms by altering their maladaptive thought patterns. While data suggest that this approach is effective in anxiety disorder treatment, in the short-run, few controlled studies have assessed its efficacy over the long haul. In contrast, there is some evidence that psychoanalytic approaches have, “staying power”. Jonathon Shedler’s research seems to indicate that this sort of approach is efficacious in the long-run. Psychoanalytic (also called, “psychodynamic”) approaches work by helping the individual to deepen their self-understanding. The hope is that when the individual becomes aware of what is making them so anxious, they can deal with their concerns and their anxiety will dissipate. Individuals are encouraged to talk freely about themselves and their lives with the idea that as they become more aware of their thoughts and feelings, they will become more tuned into their inner conflicts. Awareness of inner conflicts leads to insight and change. To accomplish this psychoanalysts and psychodynamic therapists ask you to say, “whatever comes to mind”, to report dreams, fantasies and “flash thoughts”, and, of course, to talk about the present and the past. The psychoanalysts task is to help the individual to become more aware of their internal struggles. Historically, psychoanalysts were reputed to focus on early childhood. But, actually, most modern psychoanalysts are as interested in the “here and now” as the “there and then”. For example, the woman who is anxious about dating may be frightened of intimacy. Psychoanalytic therapy will help her to learn more about why she is so afraid of closeness with the hope that as she deepens her self-understanding, she will become less frightened and more open to entering into a loving relationship. The idea is that if her anxiety can be fully understood and resolved, she may be able to master it – and, fall in love. Not all anxiety or depression springs from within the individual. For example, a person may be very anxious trying to manage both the demands of a spouse and the workplace. When this is the case, marriage counseling (or when children are involved, family therapy) can prove helpful. Marriage counseling works when both members of a couple attempt to resolve the conflicts leading to anxiety. This approach often leads to improved marital and family relationships. As relationships improve, the anxiety attenuates. Research shows that all of these approaches, and combinations of them, can be extremely helpful. The key is to seek early evaluation with a qualified psychologist or psychotherapist. Do you work with psychiatrists? As a psychologist and a psychoanalyst, my approach is to help you deepen your understanding of yourself. However, I recognize that some, though not all, anxiety and depression has a genetic and a biological component. For this reason, at times, I collaborate with psychiatrists. There are a number of psychiatrists who I know and respect; and, to whom I refer. Also, at times, I collaborate with Cognitive behavioral therapists and couples therapists. If you are concerned about your feelings of anxiety, depression, stress, malaise or low self-esteem, and are interested in consultation, feel free to give me a call at: 301.656.9650.